Sculpted in bisque porcelain with vivid hand-painted glazes, this enchanting M.I. Hummel® collectible showcases a sweet little angel in a blue nightshirt holding a sparkling Swarovski® crystal shaped like a half moon. 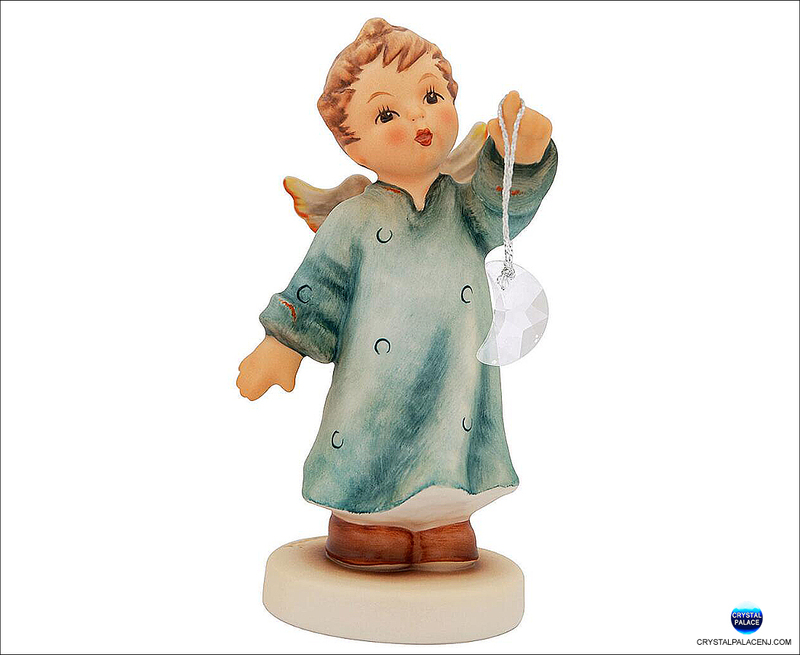 Titled "Moonbeam", this whimsical Annual Angel Figurine measures 4½" tall and is dated on the underside with the year 2016. Made in Germany. handcrafted in Rödental, Germany. Made in Germany. - Hummel Number 2376 - Approximate size: 4 1/2"